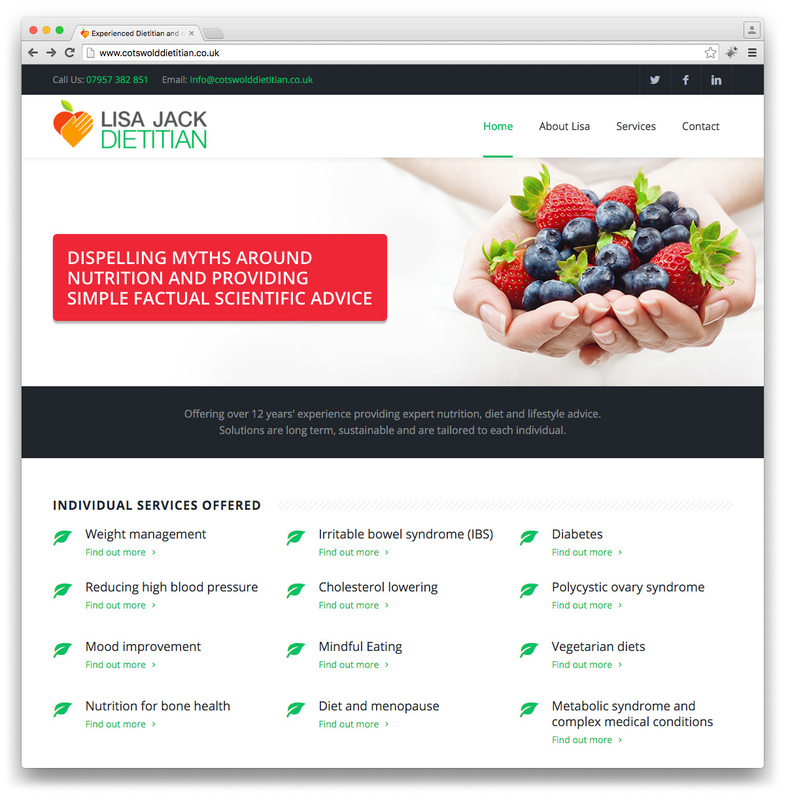 A small, clean brochure site for one Gloucestershire’s leading dietitian’s Lisa Jack. Website is performing well in search engines. Logo by stu-art.